Its nearly been a week since I've taken Yens dummy away and so far so good. There are times when she asks for it but I remind her about the dummy fairy. We have noticed because there is no more dummy she has been more cuddly at night bless her. This morning I told Yen we are going shopping because the dummy fairy gave me some money to buy a pressie to say thank you. I think im more excited than her lol its been a while since I've shopped for some goodies I usually do it online because im lazy like that. 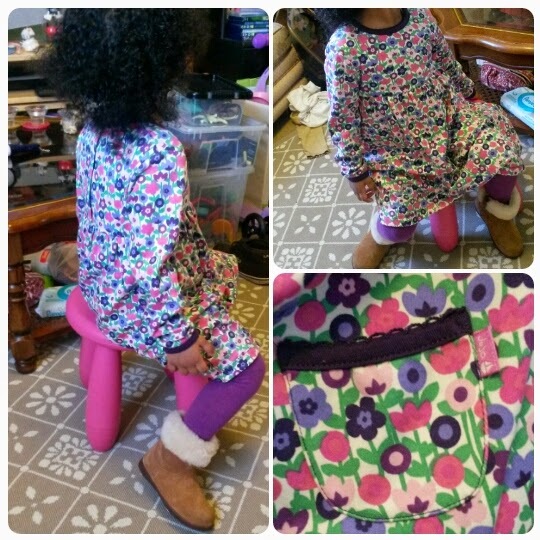 Today Yen is having a girly day wearing a Jojo Maman Bebe dress with H&M tights and Uggs. I really like this dress its made from good material thicker than her other dresses. I love the flowers on it, the purple trim and the pocket. God knows what she can fit in there lol. We took a trip to the Disney store and killed two birds with one stone. 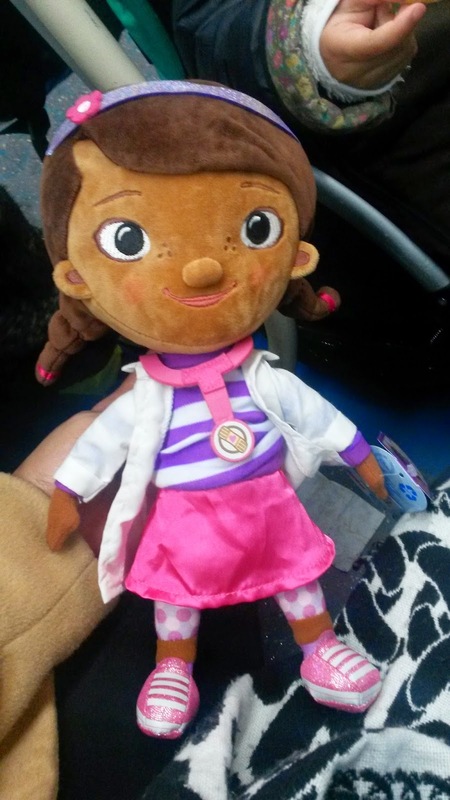 This is the pressie from the dummy fairy a Doc Mc Stuffin soft toy and I also got her a Doc Mc Stuffin outfit to wear for world book day at nursery!! !